Clients and friends have asked me for years why I live in Haiku “where it rains all the time." Frankly, I reply with a smile and remind them that this is the first place the Hawaiian’s chose to live when they arrived on the islands. When you have adequate rainfall and you have to live off the land and the ocean, the answer is very simple; water is the source of life. After living the first 12 years of my life in the desert in Tucson, Arizona, hiking through dry gulches, dodging jumping cactus, and enduring 110 degree summer days, Maui was an easy transition. The desert does have a beauty all of its own and an amazing amount of life, but it is very difficult to survive in it for long without a source of water. So, starting with water in two forms - the fresh water from the heavens and the salt water of the sea - Haiku has both. 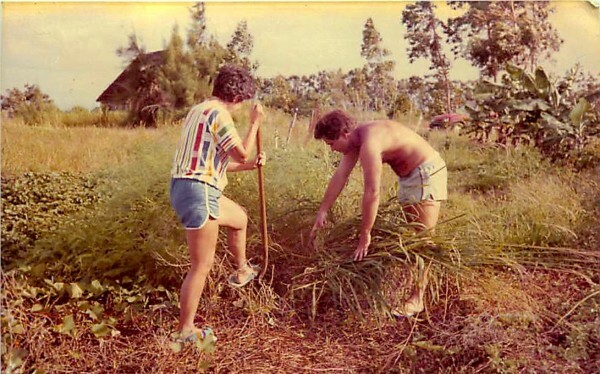 There is a misconception that our Maui soil is fertile. Mostly, it is not as it has largely been depleted by mono-cropping pineapple and sugarcane for years. Poor soil management makes restoring the soil a huge chore. 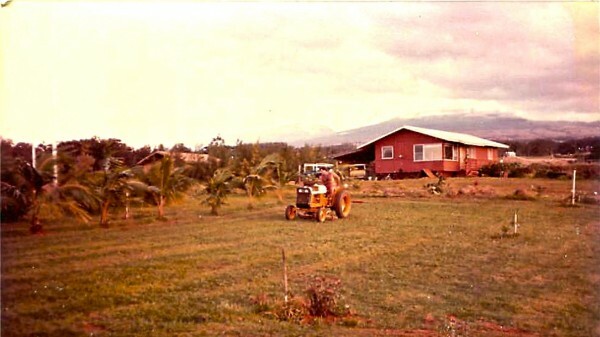 When I purchased my home in 1978, I bought five acres with a tiny cottage in the middle of an abandoned pineapple field. Nothing would grow. My neighbor, Guy Moen, was successfully growing commercial bananas right next door and we had a conversation that has carried me forward in my farming (and real estate) careers. Guy told me to get the soil tested at the local ag extension service at the cottage. He shared that until I supplemented the soil with available nutrients and adjusted the PH from highly acidic soil to a more neutral PH, I would have difficulty even growing a decent weed. I listened and learned. Adding dolomite lime allowed the soil to become PH neutral and loosened up the existing nutrients in the soil. Adding rock phosphate in large quantities, replaced the phosphate depleted by farming pineapples for years. Adding organic matter, ash, and compost helped build up potassium, and supplementing with all forms of nitrogen, legumes that fix atmospheric nitrogen, and foraging animals all have gradually brought life back to my land. The same is true of our ocean waters. We have overfished them for years and to earn a living as a fisherman is difficult. My neighbor, Adam, is a commercial fisherman, mostly fishing pelagic tuna, mahi mahi, ono, and swordfish. Adam agrees that reasonable management of the fisheries is the only way to keep feeding us all off the ocean. Recent closings of bottom fishing for onaga, opakapaka, and other bottom fish has started to slowly increase the population of these fishes and now fishermen are reporting better catches in open season. Living in an area where there is adequate rain to farm and an ocean that can feed you, offers some opportunities that other parts of Maui don’t have. To farm in Central Maui and Kihei, all the water must come from the windward side. 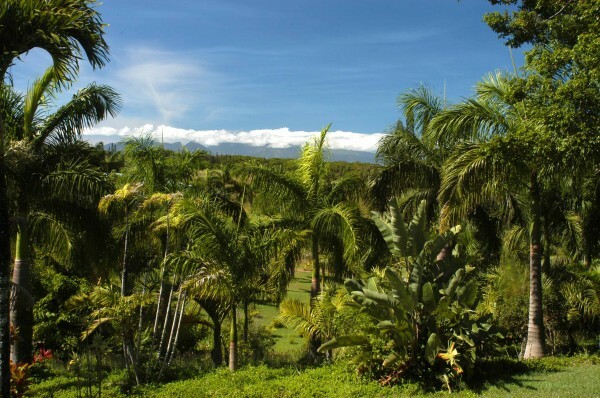 Please peruse my previous article Maui Sustainable Living and Sustainable Real Estate. A good example of a family that takes advantage of the rainfall is the owner of a new property that I have listed for sale at 450 N. Holoka’i Place in Haiku. Don and Patricia Fisher started with 2 acres of pineapple fields 12 years ago, built their dream home on it, and put in a tremendous fruit orchard and some small gardens. They have faced the same obstacles that I have, but every day they get to walk out and pick citrus, avocados, lychee, mango, figs, and many other fruits. To farm two acres in Kihei, your water bill would be $600 or $700 per month. They pay $30 per month because they don’t have to irrigate. Words that Patricia Fisher shared with me, “Why would somebody want to live anyplace but in Haiku? You have peace and quiet with no traffic noise, no burden of the resort commotion, good access to great restaurants, stores and Upcountry Fitness at nearby Haiku Town Center, 10 minutes to the beach at Hookipa, and it is all only 30 minutes from Kahului." You have world class windsurfing, the best downwind paddle from Maliko Bay, site of the Olu Kai world competition every year, surfing and kiting at Hookipa, massive winter surf at Peahi Bay aka "Jaws," great cycling and mountain biking, equestrian facilities at Tom Morrow Equestrian Center, rodeo and roping at Kaupakalua Riding Club. Best of all, you have top notch both public and private schools as Haiku Elementary consistently scores highly in state ratings and both Montessori and Seabury Hall offer high level, college prep quality private education. Having lived in Haiku since 1978 (I am still on my 5 acres) and raising my 3 children (all born on the property) with my wife, Laura, I truly have a feel for the land, the community and what it takes to prosper here. My children are now all successful adults and my son, Jeremy, is my business partner in real estate. We work as the “Stice Team" at Hawaii Life Real Estate Brokers and we are the top selling agents in Haiku. We know and love the area, so it is logical that we can best share that love with our clients. If you want to talk about farming, real estate, surfing, cycling, schools, canoe paddling, or living the Haiku life, please reach out to me.